It kind of amazes me that, currently, there are no less than two long-running Mario RPG series. While Paper Mario is its own thing and has even spun off into platformers and sticker extravaganzas, the Mario and Luigi series has always felt like an earnest spiritual successor to the original Mario RPG on the SNES. The art style and sprite work is just similar enough to be uncanny, the stories are appropriately absurd and meta, and the turn-based gameplay is just as excellent. It all began way back in 2003 with Mario & Luigi: Superstar Saga, and at the time I thought Nintendo was grasping at straws. I still remember reading the game’s elevator pitch blurb on a gaming website back in high school. It’s a new Mario RPG! An evil sorceress has stolen Princess Peach’s voice and replaced it with explosions! 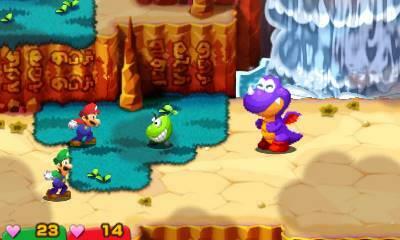 Mario and Luigi must team up with Bowser and explore the Beanbean kingdom to restore Peach’s voice! I’m pretty sure I rolled my eyes straight back into my head. The GameCube was choking on its own blood at that point, Nintendo was talking up this bizarre new portable with two screens, and a Game Boy Advance Mario RPG with a story pulled right out of its backside was their brilliant saving throw? Hard pass. I had Star Wars: Knights of the Old Republic—a real RPG—to beat, thank you. As happens with annoying regularity, I was proved dead wrong. Superstar Saga was a surprise hit, charming gamers with its tongue-in-cheek writing and hooking them with its intuitive and deceptively complex battle system. 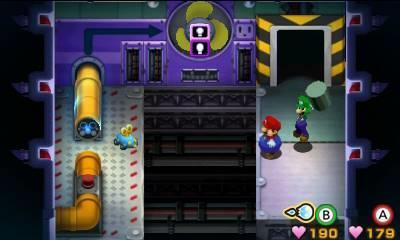 The game spawned four sequels, including a pretty decent crossover with Paper Mario. And now comes the inevitable remake. 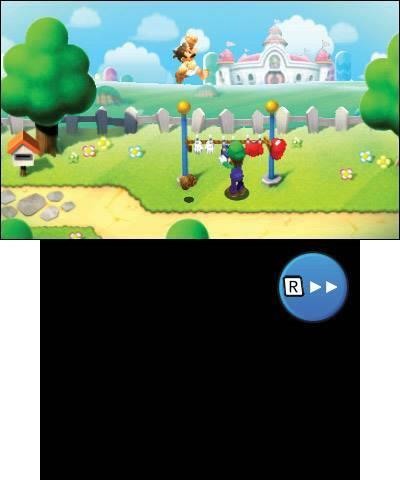 Fourteen years later, the game that started it all has been resurrected as Mario & Luigi: Superstar Saga + Bowser’s Minions; the same excellent RPG with fresh graphics, a few tuned-up gameplay elements, and a whole new side story to explore. So is it worth buying again if you own and love the GBA original? Well, that’s difficult for me to say because, as I previously stated, I skipped Superstar Saga the first time around. What I can tell you is that what you have here is an incredibly solid RPG that stands up quite well today; its relatively straightforward gameplay, free of the gimmicks that would come to characterize the series in later entries, is elegant and addictive in all the best ways. Once you get into the Beanbean Kingdom proper (through an amusing sequence of events I won’t spoil) you get to explore a pretty sizable map, controlling Mario and Luigi simultaneously. 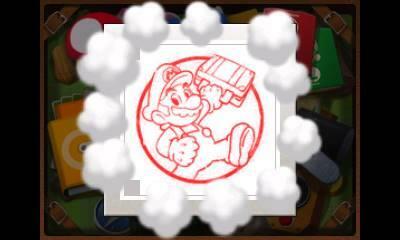 They both move as one with the circle pad, but jump using different buttons: the A button for Mario, B for Luigi. This makes for intuitive exploration, but also factors in unique jumping combos, like a super boost for Luigi or Mario’s whirlwind spin for hovering. As a bonus, these special moves can now be selected on the touch screen, so you don’t have to toggle through them with the shoulder buttons every time you want to swap. As in any good RPG, as you get farther and unlock new abilities and attacks, you can explore more of the world and defeat bosses. The game doesn’t have dungeons in the traditional sense. 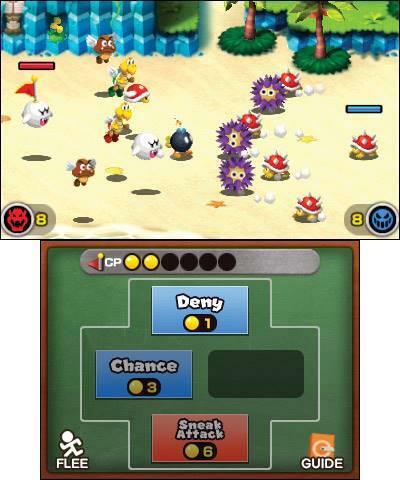 All enemy encounters and boss battles take place on the overworld, which is divided into distinct environments for visual and gameplay variety. The battle system itself is brilliant in its graceful simplicity, slowly building out your moveset, and incorporating classic Mario gameplay elements. For example, at first the only attack the Mario Bros. have is their signature jump-stomp, the same well-worn tactic they’ve been using since 1985. However, if you time your jumps just right you can land a second hit that deals double damage. This truly comes into play with the devastating Bros. Attacks, which are tricky multi-part maneuvers where you time the moves of both brothers to deliver a synergistic hit that really packs a wallop. Pull off a Bros. Attack enough times and you’ll even unlock a leveled-up version. This timing and interactivity also factor into guarding and evasion. Every enemy, from the lowliest mook to the toughest boss, has a unique tell, and their attacks can be avoided or blocked with sufficient skill and timing. It’s possible, although incredibly difficult, to beat every fight in this game without taking a single scratch to your HP. Personally, I love this gameplay setup. I’ve never liked traditional turn-based combat systems; if I get hit and lose health I want it to be my fault for not playing well enough or reacting fast enough, not because it was simply “my turn” to take a right cross to the jaw. Mario and Luigi introduced an interactivity you just don’t see in other RPG combat systems, and I wish more games would adopt this idea. If the gameplay was excellent and the plot merely serviceable, I could still give Superstar Saga a solid recommendation. 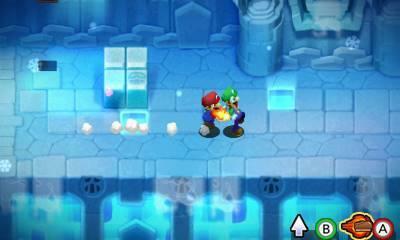 But Superstar Saga has one of the best, most entertaining plots in the entire Mario series. 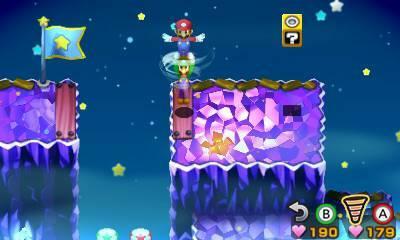 The mainstream Mario games—the platformers—are infamous for having thin and repetitive plots. Miyamoto-san focuses on gameplay first and foremost and, for a platformer, I think that’s definitely the right idea. But an RPG needs a good story to keep you playing, and both the Paper Mario and Mario & Luigi series are notorious for their self-referential plots and outrageous characters. While later entries in both series and certain spinoffs (cough Super Paper Mario cough) became ever wordier and more tedious with their dialogue, Superstar Saga remains relatively tightly plotted and has a pretty snappy script. Mario and Luigi are mostly silent throughout the game, speaking in a phonetic gibberish that sounds vaguely like Italian, but this lets Bowser and the bosses really shine. Superstar Saga is notable for introducing Fawful, a lackey-turned-villain who speaks in elaborate broken English and includes strained food metaphors in his threats. 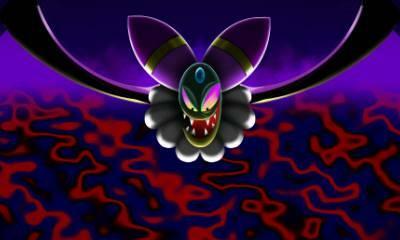 Fawful was so memorable that he returned as the main villain in Bowser’s Inside Story, the third game in the series. 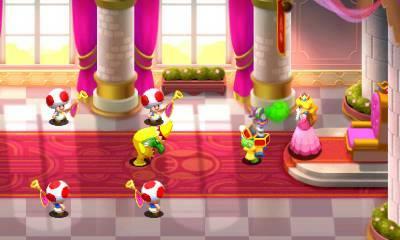 To justify its full remake status (and full price, natch) Superstar Saga includes the side game Bowser’s Minions. Early on in the game the Mario Bros. get separated from Bowser, and this extra mode explains how Bowser’s hapless underlings, led by a Goomba captain desperate to prove himself, go on a quest to rescue their boss. Bowser’s Minions is a fairly simple tactical RPG where you build out three classes of minions: flying, ranged and melee. You then pit these goons against an enemy Beanbean army in a battle that plays itself out on the top screen. How well your army does depends on how well you weighted your forces toward a specific class; it’s kind of like a big messy game of rock, paper, scissors. You can occasionally use special attacks and a limited-use guard against enemy specials, but that’s as much interactivity as you’ll get. 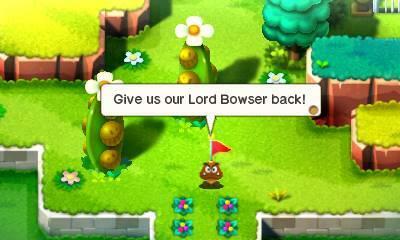 I enjoyed Bowser’s Minions for what it was, but it did get rather repetitive. Having to replay a battle because I didn’t guess the bell curve of the opposing force was annoying, and sitting and watching a fight play out to the last Parakoopa got tedious sometimes. Bowser’s Minions isn’t a bad diversion but I wouldn’t call it a full game that warrants a re-purchase of Superstar Saga. Rather, it’s something to indulge in when you want a break from the main quest, and you can skip it entirely if you so desire. Rather, I would buy Superstar Saga if you’ve never played it, or if you’re really eager to re-experience this classic RPG with a fresh coat of paint. The updated visuals are gorgeous, and while there’s something to be said for the emotive sprite work of the original game, the remake brings the graphics and music more in line with the Claymation look of the subsequent games in the series, and ironically with the SNES Mario RPG too. As a completionist/collector, I must also say it’s nice to have the entire Mario and Luigi series playable on my 3DS now. Superstar Saga + Bowser’s Minions isn’t a ground-up re-imagining the way Metroid: Samus Returns is, so it doesn’t completely justify another purchase as a pure remake. But it’s just a good game, and sometimes isn’t that justification enough? After all, how many times have we all double-dipped for Link to the Past or Super Metroid, completely unaltered, on Nintendo’s various download platforms? 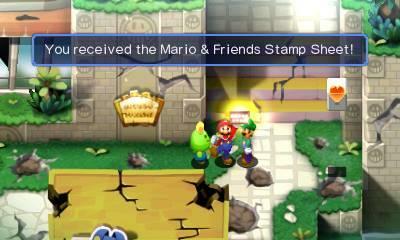 In any case, I’m glad I finally got to experience the beginning of the Mario & Luigi series. After writing it off so many years ago and only piecing together the details in the time since, it almost feels like coming home. 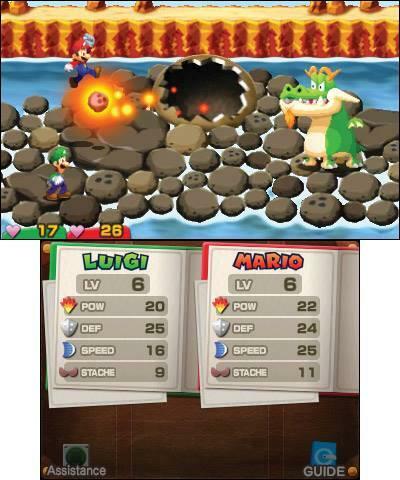 Mario and Luigi Superstar Saga + Bowser’s Minions is still a fantastic RPG fourteen years later. 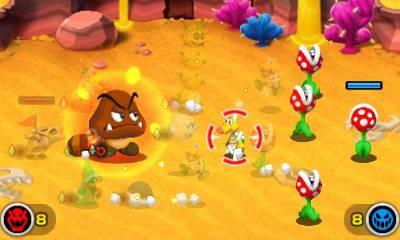 The Bowser’s Minions side story is an enjoyable, if occasionally tedious, diversion. But the main quest is better than ever with the same addictive combat, laugh-out-loud story, and a few modern polishes to the gameplay.